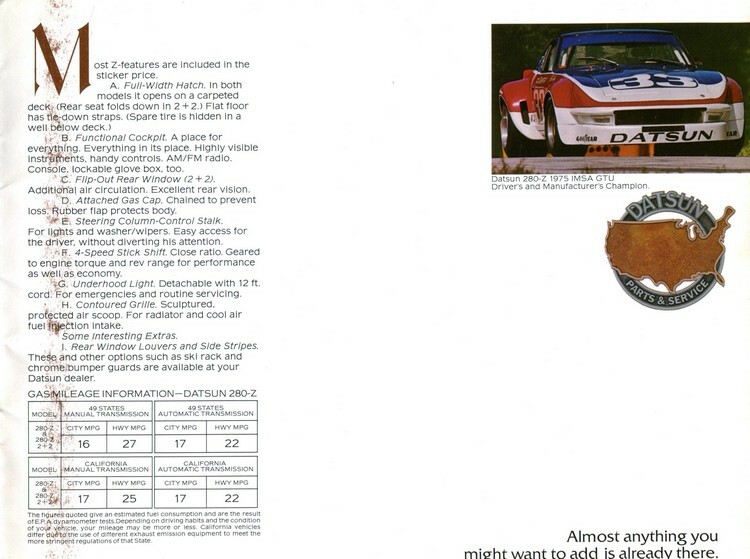 Straight from the DatsunForum memorabilia collection, this 1976 280Z sales brochure was included with the original owner’s paperwork when we purchased the car for restoration, and it’s been scanned here for your reference and enjoyment. 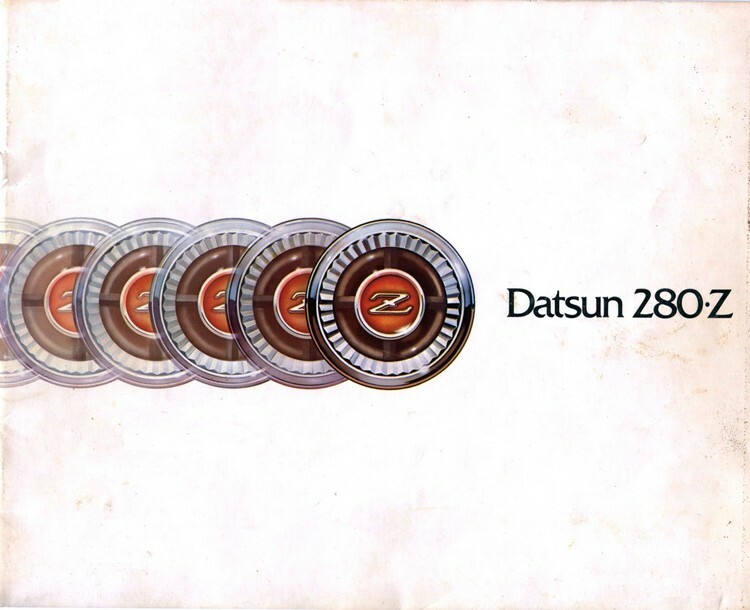 1976 was the first year of the Datsun 280Z, arriving on dealer lots in late 1975 as the successor to the 260Z, and beginning the final version of the 1st generation Z sports car. 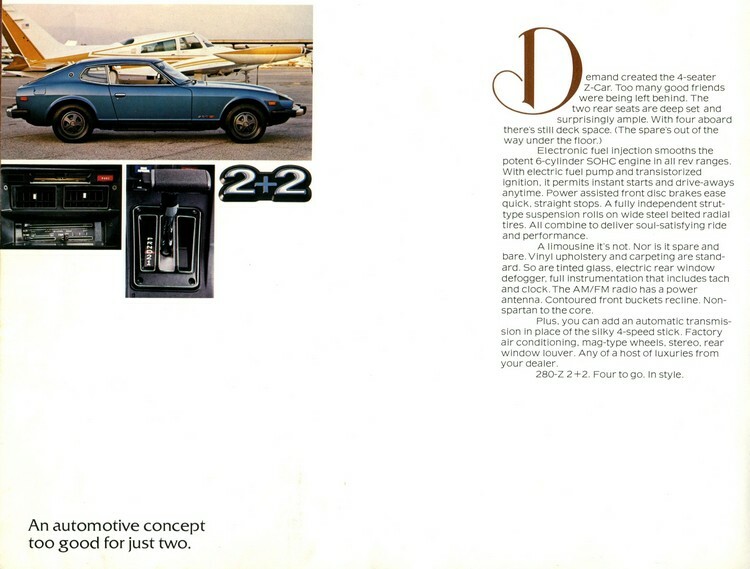 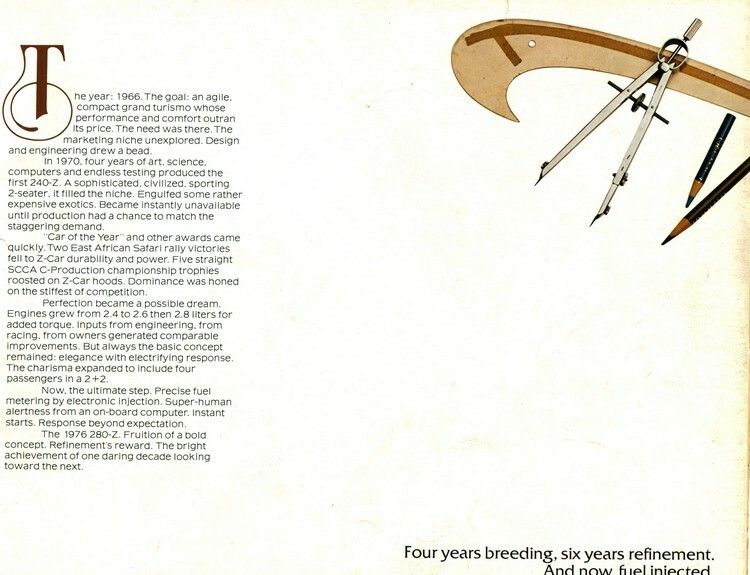 Covering the 1970 through 1978 model years, the 1st generation Z was replaced by the 1979 280ZX. 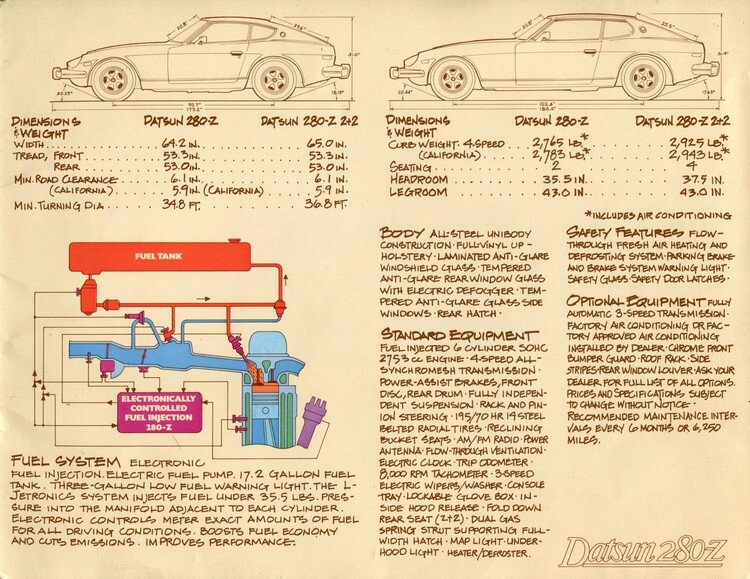 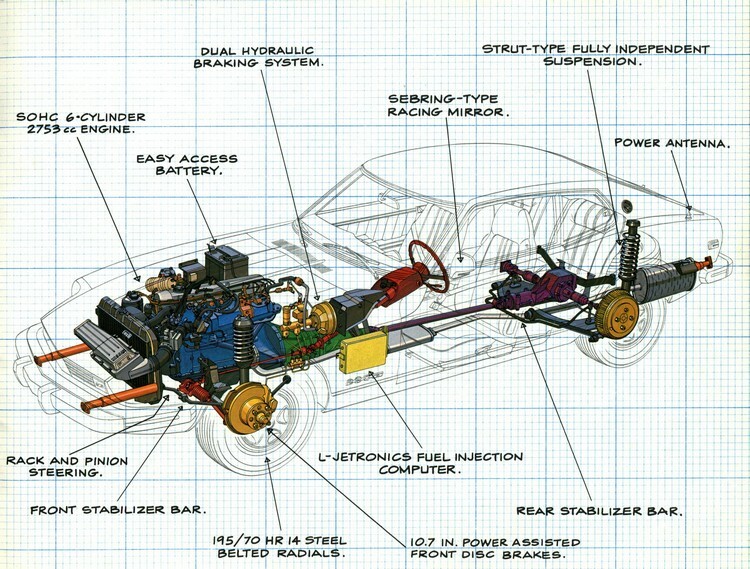 The engine displacement was increased to 2.8 liters, resulting in the 280Z nomenclature. 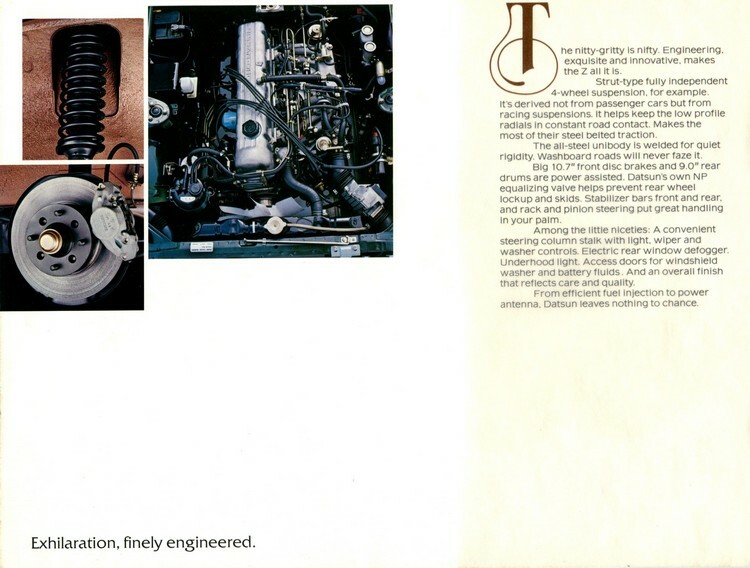 A Bosch L-Jetronic fuel injection system helped combat the increasingly-stringent emissions regulations which threatened to diminish the Z-car’s horsepower ratings. 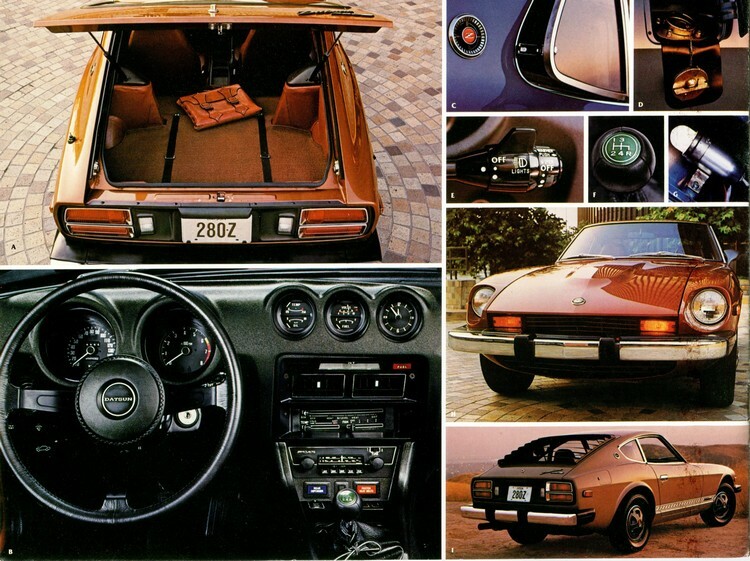 Available with either a 4-speed manual or a 3 speed automatic transmission, the first-year 280Z retained the earlier models’ independent suspension arrangement and 14″ alloy wheels, while adding a sportier array of dashboard gauges. 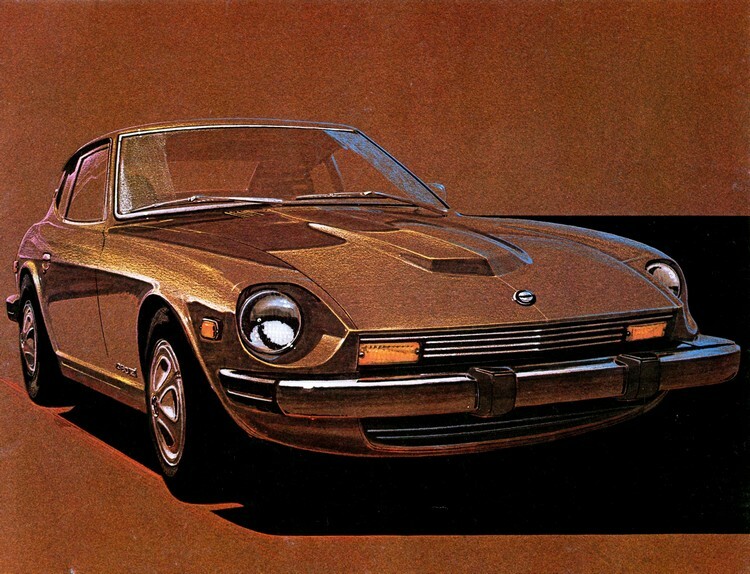 The 280Z was now available in two body styles: a 2-seat coupe or a 2+2 4-seater. 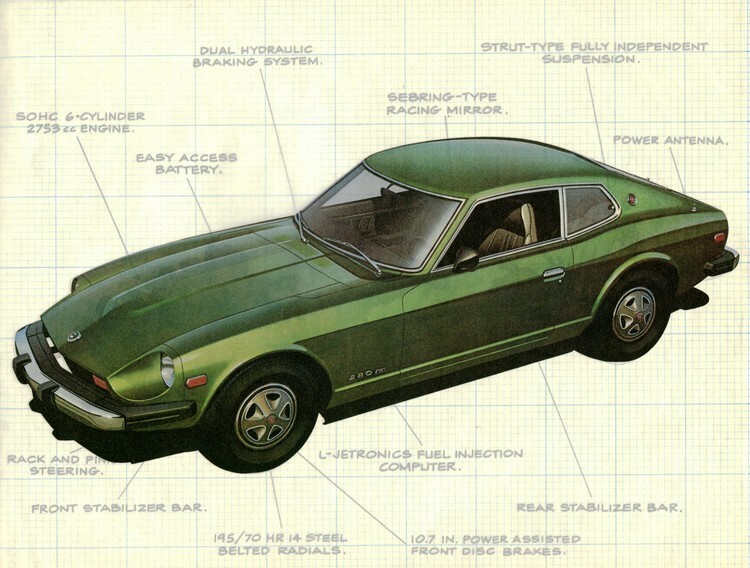 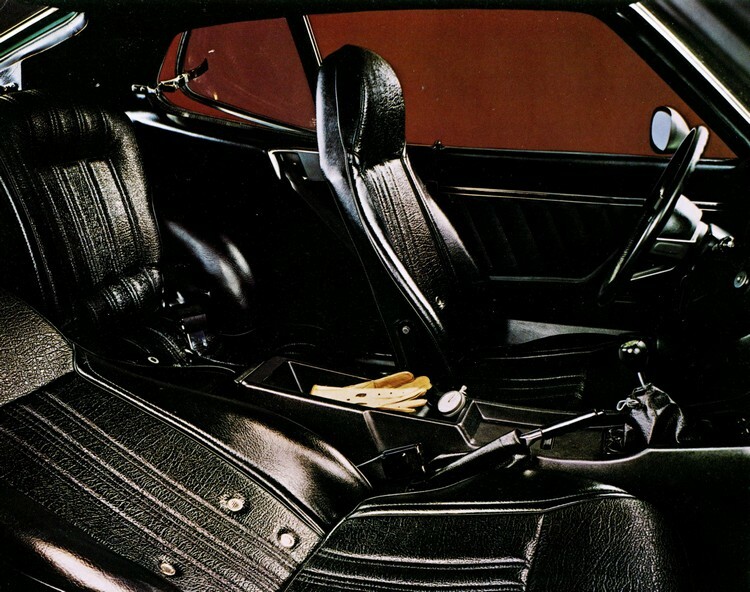 The 4-seater was 12.5″ longer than the standard 280Z, though it shared similar performance characteristics. 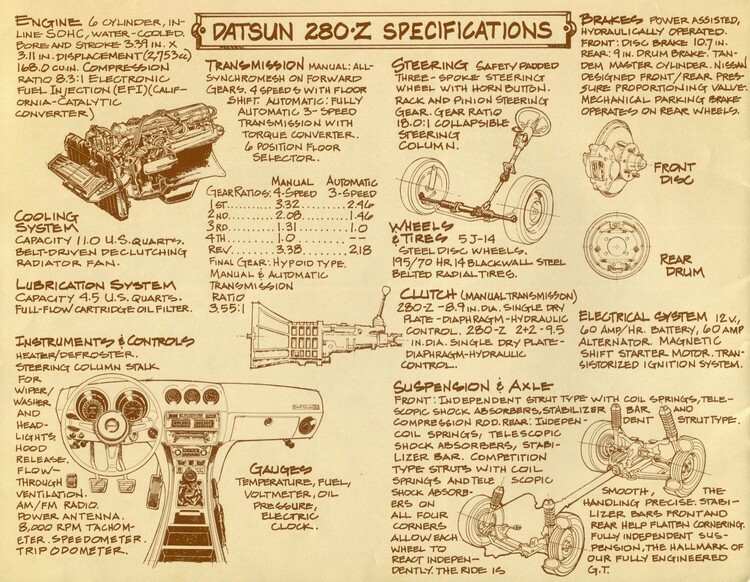 We hope you enjoy this slice of history, and if you’re not already active on DatsunForum.com, we hope you’ll pop in and join the conversations!